I collaborated with Driftwood Magazine on a variety of projects ranging from branding, merch design, event graphics, marketing promotional pieces and designs featured in the magazine, video and multimedia applications. Driftwood Magazine creates vibrant, inspiring Vegan Travel & Culture media. 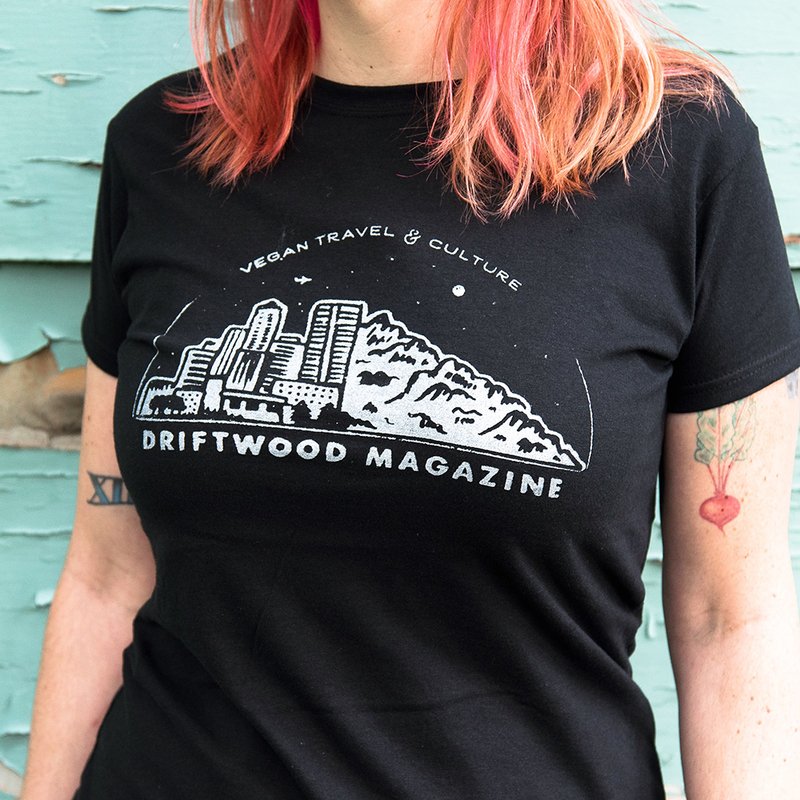 Branded merch designs inspired by the love of exploring cities, wild places & everything in between. Shirt photo by Holly Feral. Patch design for the Black Sheep Friday campaign; an alternative to Black Friday that promotes volunteering at an animal rescue or sanctuary. Attendees received a patch for participation. Logotype design for the S'mores Stories campaign; used in video, promotional materials and back cover magazine ad. Spot illustrations & lettering featured in Issue 2; personal promo photo.